My name is Ciara and I am a 19 year old BA Hons Culinary Arts student in Waterford Institute of Technology. 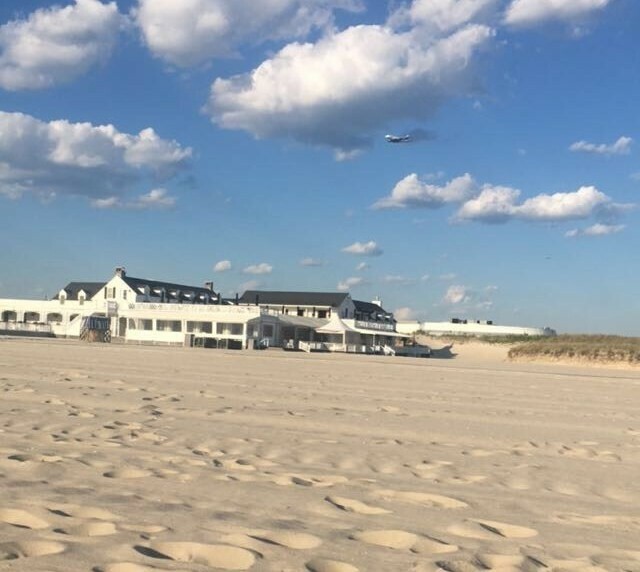 I am currently half way through my second SAYIT J1 summer, working in a beach club in Long Beach, New York. I have decided to share my experiences from both J1s to help anyone else considering embarking on the journey in the future. "Visiting America had never really appealed to me. However, when posters for a job opportunity appeared upon the walls in college to go and work as a chef in Long Beach, NY, for the summer, I was intrigued. After a somewhat spontaneous and last-minute CV updating session, a successful interview organised in college and a J1 VISA application through SAYIT, the flights were booked. Unbeknownst to me I was about to embark on quite an adventure. On May 22nd 2017 a departure from Shannon Airport was about to bring a summer full of laughter, joy, hard work and sand. 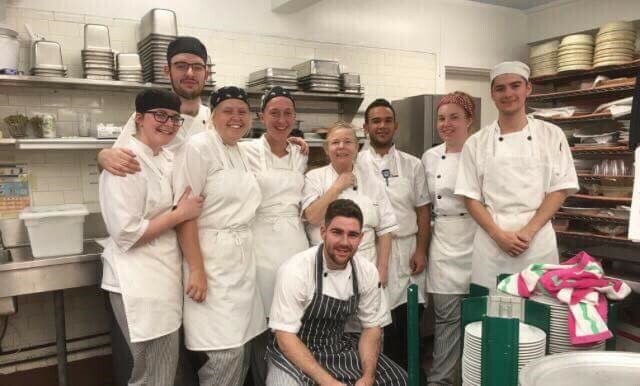 Somehow, I was lucky enough to bag a job which included onsite accommodation, free staff meals and a uniform laundry service (every chef’s fantasy). I had never lived away from home so moving to New York was a daunting but exciting prospect. For my first year I went with two friends from college. I was glad to have them at the beginning, but we soon made our own friends too. I travelled alone for my second year, but because I had done it before it wasn’t a big deal. Long Beach is home to amazingly wealthy people. Ordinary streets are laden with impressive, newly-built homes following hurricane Sandy. It was an unbelievable place to be able to reside in. Referred to by many people as the California of NY it is a haven for surfers, sunbathers, ice-cream lovers and free spirits. A population of 34,000 people rapidly grows in summertime with the throngs that flood to enjoy the pristine beach. For me, Long Beach is one of those places where you can’t help but feel at ease. The boardwalk which runs for 2.2 miles allows joggers, cyclists, and walkers to overlook those enjoying the beach below. The beach is a hub for volleyball, open-air concerts, and surfing. As somebody who has only witnessed LBNY from May to September, it seems almost impossible to believe that it is not summertime all year round there! Where I lived was only a few minutes’ walk from the closest street of shops, restaurants and bars. And if we didn’t feel like walking, the bus stopped right outside the beach club and everything is always only an Uber away. 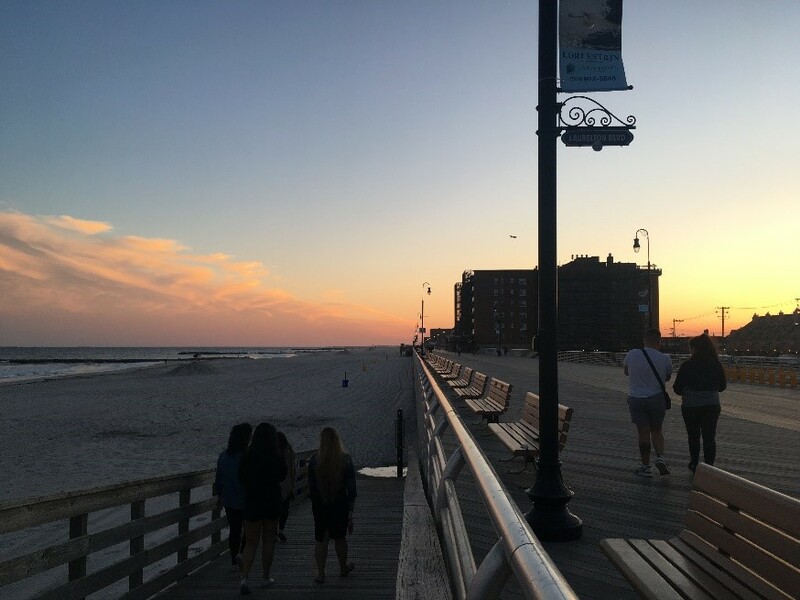 It is hard to imagine that the chill atmosphere of Long Beach is only a 40 minute train from Penn Station, which opens to the overwhelming metropolis that is New York City. And whilst I did indeed fall in love with ‘The Big Apple’, it was always a relief to return to the sea-breeze that Long Beach so generously offered. The beach clubs were member-only and very exclusive. Members spent their days making use of the gorgeous sandy beach, in between availing of the various facilities which were run by the 40 Irish J1 students working there for the summer. The club has a long successful history of hiring Irish J1 students and were very understanding and helpful throughout the VISA application process and the entire summer. The accommodation was provided for all staff. The staff house was basic, 4 to a room with ensuite and storage and was $70 per week which was directly taken from our pay and all given back in a lump sum in our final pay check. I worked as a chef, responsible for the preparation and service of cold items for the lunch and dinner menus. We also catered for large events for up to 600 people. Some weeks the hours were long and tough, but the pay was good and the experience as a young chef was fantastic. During my second summer working in the beach club the work admittedly did become repetitive, but I was given more of a role which always made for a busy and productive day. Management there were experienced in hiring J1 students so we were always treated well. We got two days off every week. 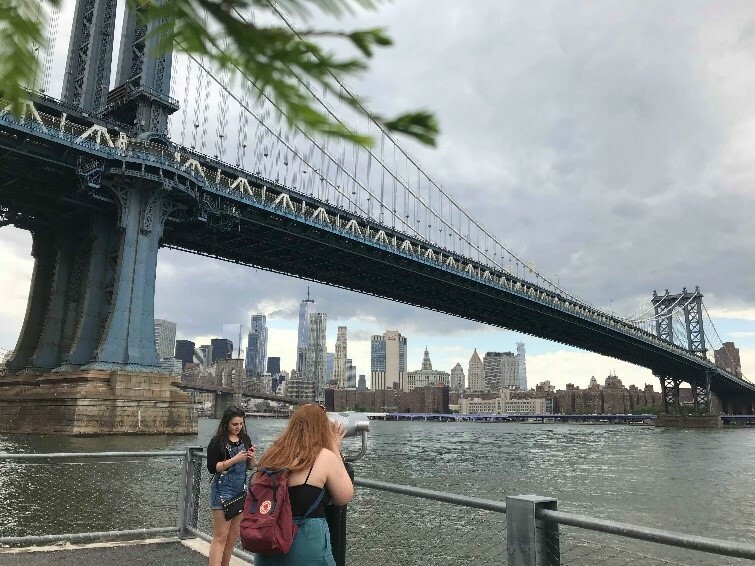 During my first J1 summer I tried to explore Manhattan or Brooklyn at least once a week. New York is so much more than just Times Square! I got to see all the major spots; One World Trade Centre, Brooklyn Bridge, Grand Central Station, the Highline and so much more. From NY it is very easy to travel to Boston, Washington DC and Philadelphia on the bus. I also made a trip to Montauk, the Hamptons. Travel smart and you’ll travel cheap. As a music lover I put any spare money I had into buying concert tickets and got to see Coldplay, Earth Wind & Fire and Tame Impala. Unforgettable experiences! Living with 40 other Irish people in staff accommodation allowed for a constant feeling that you’re never too far away from home. Long Beach also has a huge number of Irish living there. That said, you can’t escape the living differences in the US. You either love it or hate it, but everything really is 10 times bigger and bolder. I personally enjoyed the experience of temporarily living in the US but wouldn’t ever intend on living there permanently. I had no experience with homesickness during my first summer in NY because everything was new and exciting. However, I did have moments of homesickness during my second summer, but Facetime becomes one of your most valued services! My J1 experiences had such a profound effect on my life and on me as a person. I’ve made friends for life from all over Ireland and America. I’ve had crazy unforgettable days and nights with amazing people in amazing places. I’ve visited sites which I never thought I would see in person. I grew in confidence from having to be more independent. I have stories and memories which will never fail to make me smile. Another invaluable asset for me was the ability to put down on my CV that I had spent a summer working in a private beach club in New York at the age of 18. It mightn’t have felt overly impressive to me during long days of making salads when I was there, but on paper it looks great. It was even a major talking point during a job interview I had at home after my first NY summer, and I got the job. I am so grateful to myself for going for that job interview in college for my first summer here! Who would have thought it would lead to two summers of New York living?! For anyone planning on going on a J1 in the future, here are some tips which I can offer after surviving two! During the Visa application process don’t be afraid to ask questions. SAYIT are incredibly helpful for all enquiries. Talk to people you know who have been on J1 before. 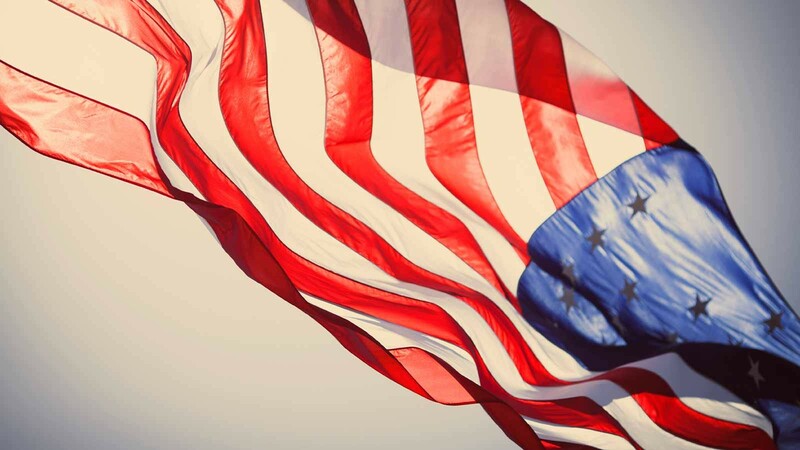 It can sometimes be overwhelming when faced with filling out forms or going to the embassy, but we’ve all been there and everyone is happy to help. Bring multivitamins- healthy food in the US is super expensive. Do not let yourself get rundown because of the lack of veggies. Carefully store and backup copies of all your documentation- especially insurance papers. I have witnessed numerous cases of people ending up in ER during their J1. You never know what is going to happen so make it easy as possible. Don’t forget to tip in restaurants/ bars, it’s hard to get used to but it’s the done thing in America. Double the tax = the tip. Don’t forget to fill to fill out for tax return, I got a significant amount of money back. I recommend going with taxback.com because manually filling out the forms is confusing and time consuming. Have fun! It’s the experience of a lifetime and the best summer you’ll have. 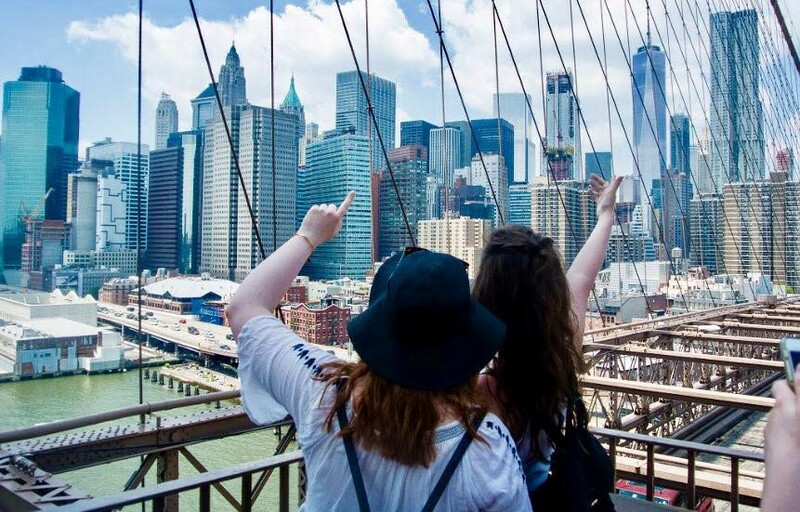 Read more blogs: Rebecca's New York J1 Experience, Mike's Chicago J1 Experience, 5 Tips For Making The Most Of Your J1 Experience, 5 Useful Mobile Apps You'll Need On Your J1, J1 Jobs: All You Need To Know, Myrtle Beach SC J1 Experience, Kate's Boston J1 Summer, Mark's J1 Summer Of Sport In Chicago. Want to make your own New York memories? Contact us: SAYIT J1 Cork +353 21 4279 190 or J1visa@sayit.ie. Dublin: +353 1 608 0072 or dublinJ1@sayit.ie.